comforts combined with a friendly atmosphere. Thanks to its central location and proximity to Tegel airport, this hotel is ideal for business travellers and tourists alike. 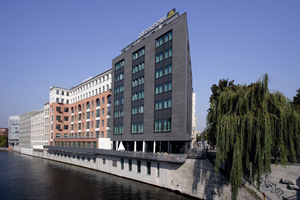 The Adrema Hotel is located on the banks of the River Spree, offering a perfect mixture of modern design and a welcoming atmosphere. It is close to Kurfürstendamm, the Victory Column and the Brandenburg Gate, as well as to the administration district and a host of film and media facilities. The Hotel Angleterre features old world charm with decor in the classic British style, featuring warm colours, opulent chandeliers, large mirrors and wooden fittings. An old world experience, in all its magic and glory. The Hotel Prinz Eugen in Dresden lies in an attractive and exclusive residential area near the banks of Elbe River in the capital of the Free State of Saxony, offering 47 spacious rooms of 30-40 square meters. 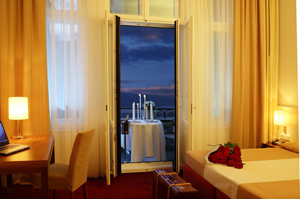 This entry was posted on Mercredi, septembre 4th, 2013, 5:59 and is filed under Hotels. You can follow any responses to this entry through RSS 2.0. You can leave a response, or trackback from your own site.